Out of thousands of stocks that are currently traded on the market, it is difficult to determine those that can really generate strong returns. Hedge funds and institutional investors spend millions of dollars on analysts with MBAs and PhDs, who are industry experts and well connected to other industry and media insiders on top of that. Individual investors can piggyback the hedge funds employing these talents and can benefit from their vast resources and knowledge in that way. We analyze quarterly 13F filings of over 700 hedge funds and, by looking at the smart money sentiment that surrounds a stock, we can determine whether it has potential to beat the market over the long-term. 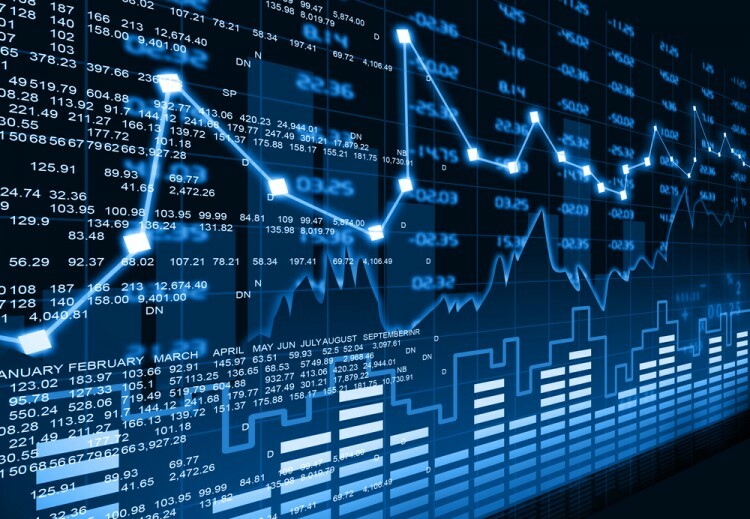 Therefore, let’s take a closer look at what smart money thinks about Liberty Global plc – Class A Ordinary Shares (NASDAQ:LILA). Liberty Global plc – Class A Ordinary Shares (NASDAQ:LILA) investors should be aware of a decrease in activity from the world’s largest hedge funds recently. LILA was in 39 hedge funds’ portfolios at the end of the third quarter of 2016. There were 51 hedge funds in our database with LILA positions at the end of the previous quarter. At the end of this article we will also compare LILA to other stocks including Computer Sciences Corporation (NYSE:CSC), CIT Group Inc. (NYSE:CIT), and Domino’s Pizza, Inc. (NYSE:DPZ) to get a better sense of its popularity. What have hedge funds been doing with Liberty Global plc – Class A Ordinary Shares (NASDAQ:LILA)? At the end of the third quarter, a total of 39 of the hedge funds tracked by Insider Monkey were bullish on this stock, a drop of 24% from the previous quarter, after hedge fund ownership had soared in Q2. 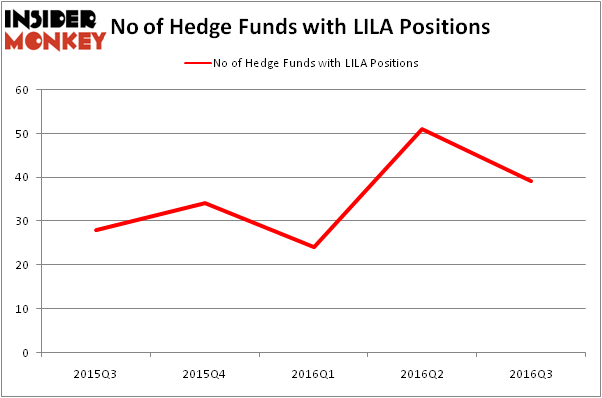 The graph below displays the number of hedge funds with bullish position in LILA over the last 5 quarters. So, let’s check out which hedge funds were among the top holders of the stock and which hedge funds were making big moves. According to Insider Monkey’s hedge fund database, Warren Buffett’s Berkshire Hathaway has the number one position in Liberty Global plc – Class A Ordinary Shares (NASDAQ:LILA), worth close to $74.9 million. The second most bullish fund is Farallon Capital, which holds a $41.3 million position. Remaining peers that are bullish include Jeffrey Bronchick’s Cove Street Capital, J Kevin Kenny Jr’s Emerging Sovereign Group, and Nitin Saigal and Dan Jacobs’ Kora Management. We should note that none of these hedge funds are among our list of the 100 best performing hedge funds which is based on the performance of their 13F long positions in non-microcap stocks.